I’ve never really listened to Number One Gun. I gave Celebrate Mistakes a once over but that’s all. So picking up To the Secrets and Knowledge, I bring a a fresh ear to a band I know nothing about. It seems a little unfair to just right the album off as another album. Comparisons to Anberlin and Copeland are sure to come up and that might be right. But there’s no needs to ignore this album. 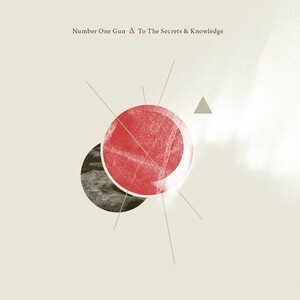 To the Secrets and Knowledge is a catchy album full of great songs. Jeff Schneeweis vocals swing into falsetto on the albums opener The Victory, a tinkling synth plays in the background of the track. The opening to Big Machines sounds like something from Copeland’s In Motion. After a strong first half, the album slows down for me. The People is an acoustic track that stops the face of the record. White Lies is a simple drum machine and keyboard song. The album ends with a cover of Journey’s Don’t Stop Believing, a song I personally dislike. The cover doesn’t do much for me. It doesn’t stray far from the orignal and the autotune on the vocals bug me. Overall To The Secrets and Knowledge is a catchy emo pop record with a handful of strong songs.